This entry was posted in Movies and tagged gazelle, gender stereotyping, sexism, Zootopia by margotmagowan. Bookmark the permalink. 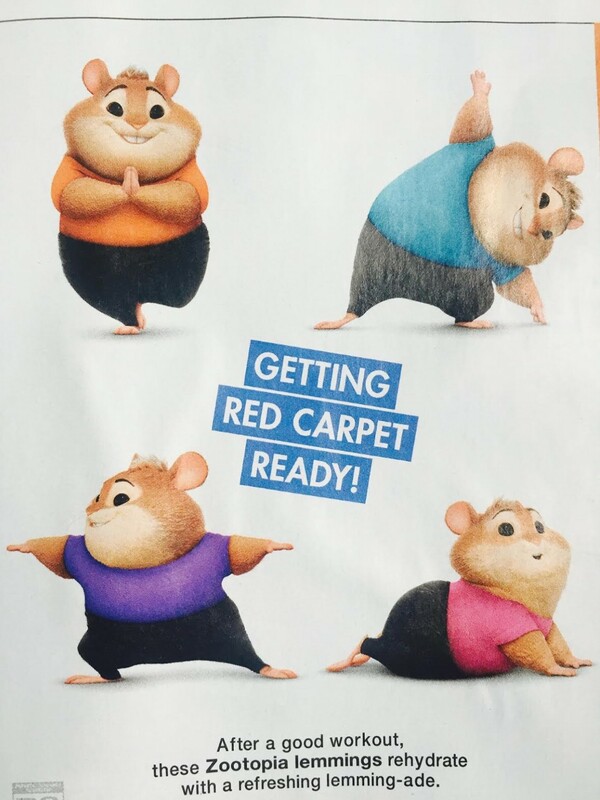 Hey, that “Gazelle” character is based on a real person, gerbals are normaly fat, and a fully clothed bear is unrealistic even if it was a male or female, you are simply making a mountain out of a heap of sand. Is the real person you’re referring to Shakira? 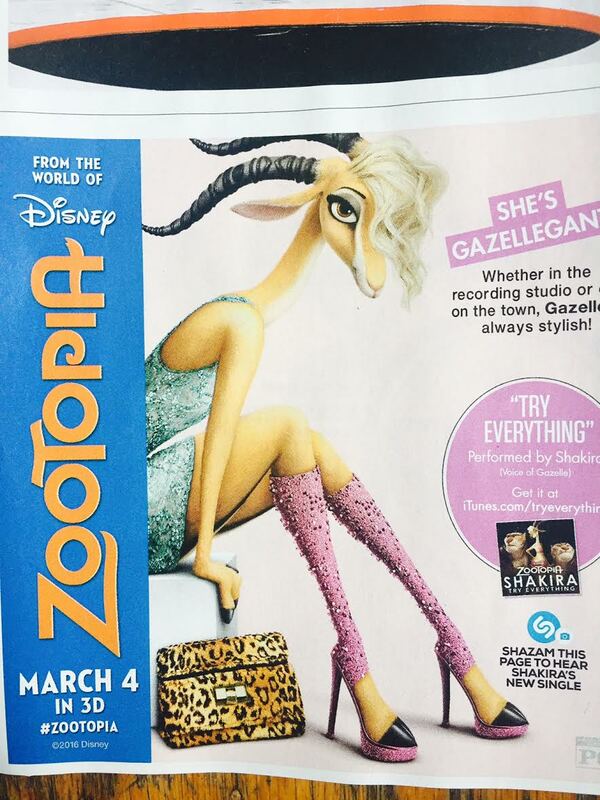 She thought the gazelle was too skinny and wanted animators to make her hips wider. Again, please don’t judge a book by its cover, so to speak. I think unfortunately that this one of those “bargains with the devil” that Disney has made, or it belies a battle between their creative and marketing sides, where their marketing side believes (wrongly) that it must cater mostly to male potential moviegoers, and so they do this crap in the marketing that doesn’t actually reveal accurately the tone/content of the film. 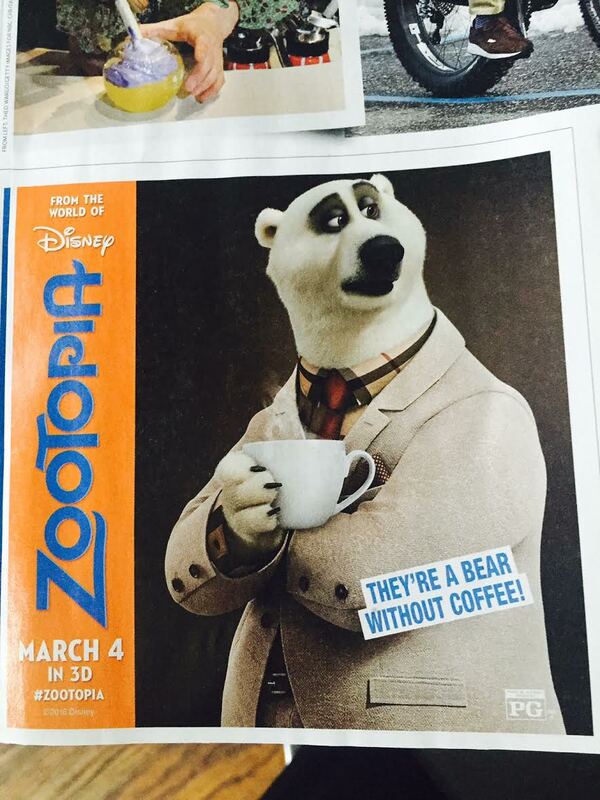 I wish they didn’t do this of course, but I think (hope) you guys will like the movie MUCH more than the marketing! Marketing is it’s own beast and it goes way beyond “the cover.” Marketing defines everything from clothes kids wear toys they play with. Have you not followed the #wheresRey movement? As I wrote in the post, all kids won’t see the movie. They will all see the marketing.